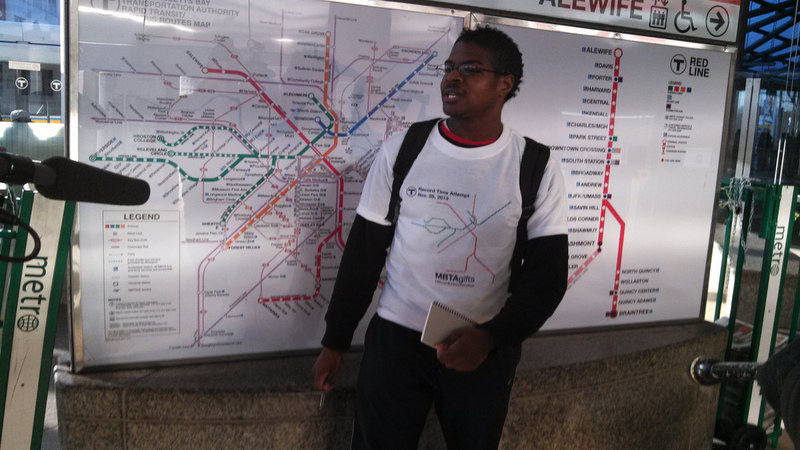 Adham teamed up with a Boston local and MBTA blogger, Miles, to set a new record of 8 hours, 5 minutes, and 16 seconds for visiting all stations on the MBTA. 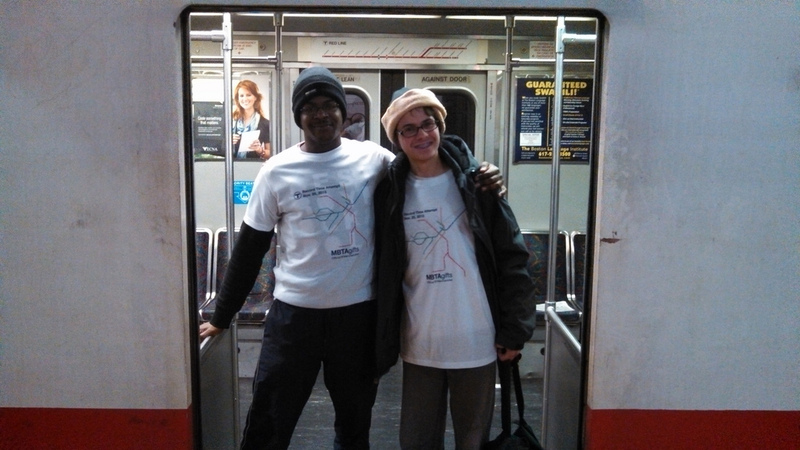 An international transit racer and a Cambridge teen Monday set a new record by dashing through the MBTA subway system in the shortest amount of time ever recorded. Adham Fisher, 28, of Leicester, England arrived in Boston late Sunday night to plan out Monday's journey, which started around 7 a.m. 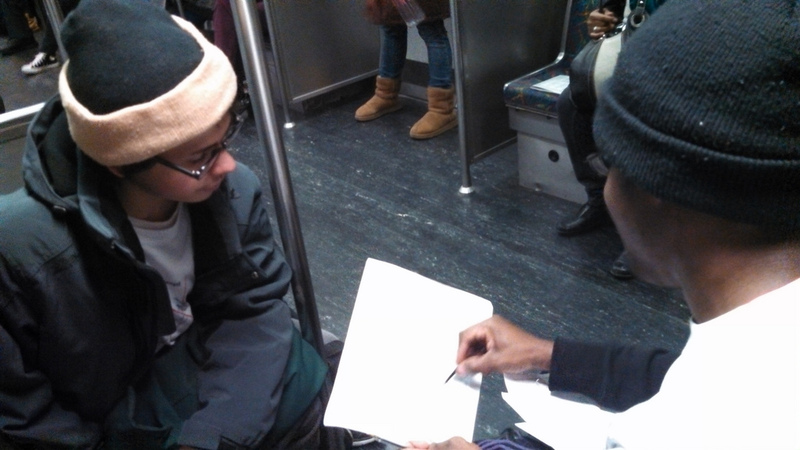 He was joined by Miles Taylor, 13, who runs a transit blog called Miles on the MBTA. The previous record was held by MIT students who finished the run in 11 hours and 48 minutes, according to Fisher, who aimed to finish in 6 hours and 30 minutes. The final time was 8 hours, 5 minutes and 16 seconds, according to Fisher's stop watch. 'It's going slower than I wanted and anticipated, however I really didn't know what exactly to expect,' said Fisher as he neared the end of the journey Monday afternoon. 'Mr. 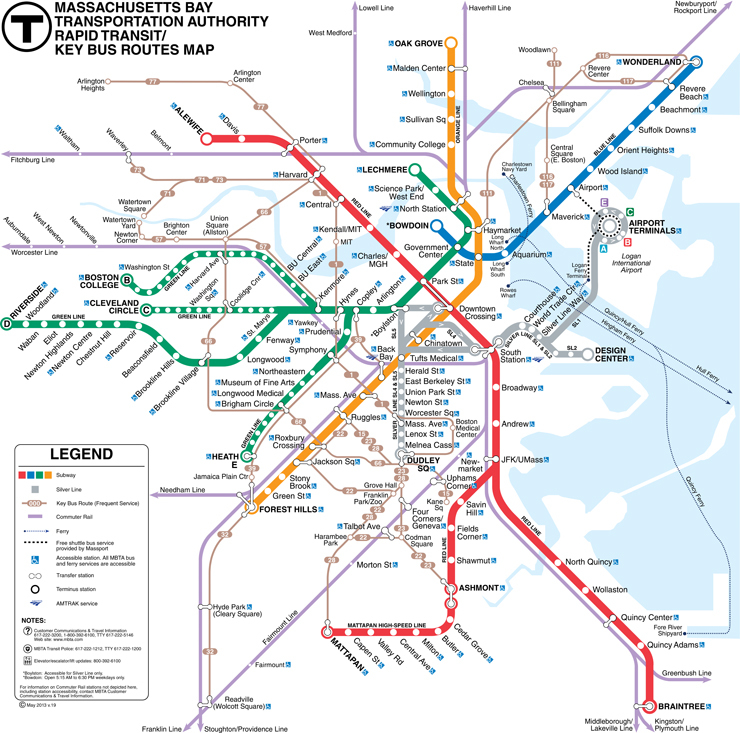 Fisher reminded everyone that the MBTA offers the easiest and most convenient way to get around Greater Boston,' MBTA Spokesman Joe Pesaturo said of the endeavor. 'I'm still very happy with the time, but the original plan was to do it even faster. It was mostly the Green Line, specifically the B branch, that slowed us down. It was being very annoying. 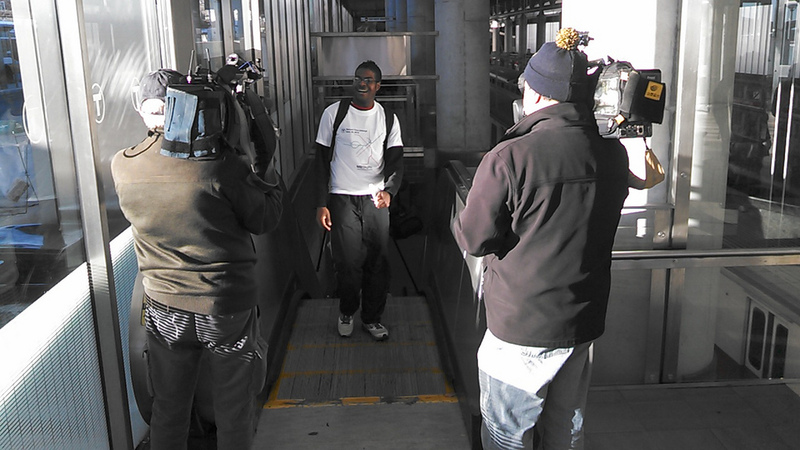 There was a lot of bunching, and it was very crowded and going slowly,' he said. 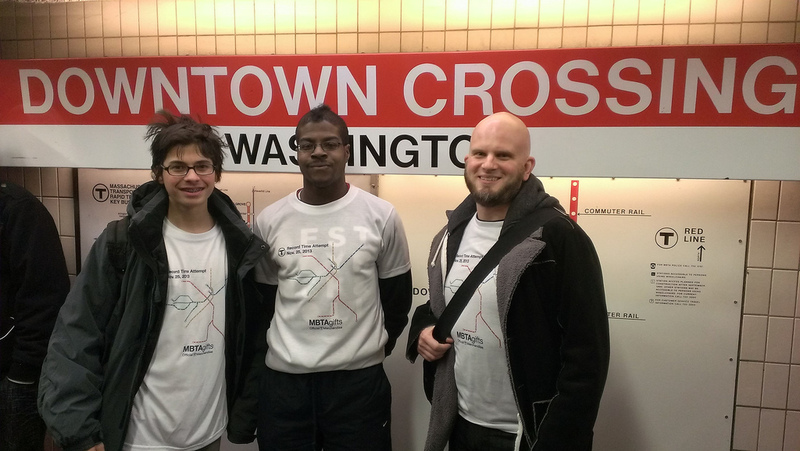 Who knows; the transit-crazed teen might just have a future at the T.
Steven Beaucher of MBTAgifts in Cambridge, which made specialty shirts for the transit duo, tagged along for the last leg of the run. 'I think it's a pretty good bar to set. The comments on Twitter have been very Bostonian; at the very least intriguing,' said Beacher, adding that people had already been tweeting that they plan to beat the record. 'My favorite response so far was something along the lines of, 'I'd rather eat glass than spend 8 hours on the T,'' Beaucher said. Video: Fisher spoke to The Morning Show Toronto in April. Click the icons below for more press reviews. Click to see interviews with the and .